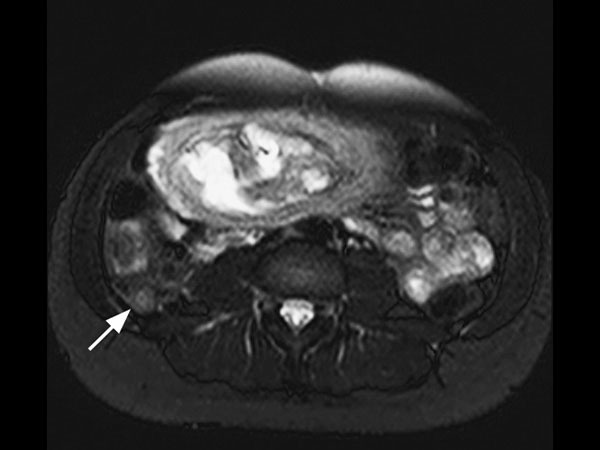 A 25-year-old female, 20 weeks pregnant, presented with right lower quadrant pain. Her white blood cell count was elevated, measuring 14.6. Ultrasound failed to visualize the appendix. Consequently, the patient was referred for MRI. The scan was performed on a 1.5T SmartPath to dStream system using the integrated Posterior coil and the Anterior coil. The exam includes 3-plane T2-weighted scans, 3-plane B-FFE scans and axial T2W SPAIR, all in breath holds < 15 seconds. 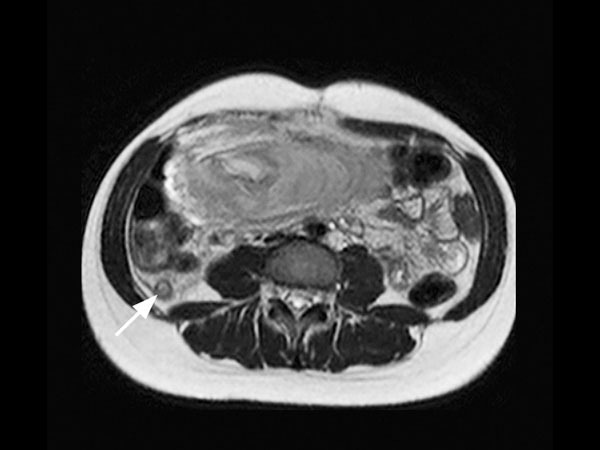 The MR images demonstrate a distended appendix with adjacent fat stranding. 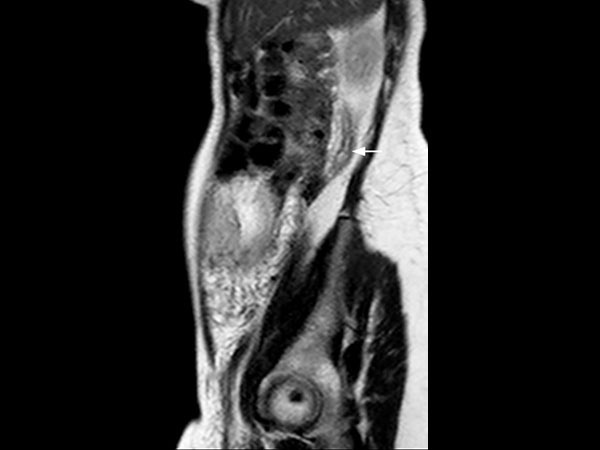 The diagnosis is acute non-perforated retrocecal appendicitis, surgically confirmed. 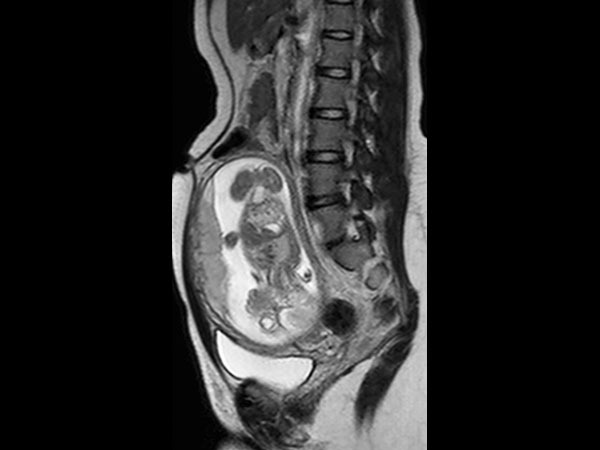 MRI successfully diagnoses appendicitis in pregnancy without using ionizing radiation or contrast. This 18-minute exam without contrast or ionizing radiation has replaced CT in pregnant women at our institution. We have performed over 60 cases in the last 5 years, with 9 positive, surgically confirmed. We saw no false positives, and to the best of our knowledge, no false negatives either. We usually start with ultrasound, but it is frequently negative in these patients. T2-weighted sequences are the mainstay for our diagnosis. With our SmartPath to dStream system, SENSE and dStream allow us to acquire these faster with improved signal. In these patients, who are often short of breath, the scan can be completed in 15 minutes or less.